Our Youth find leadership and health education reaches for beyond our YMCA walls. 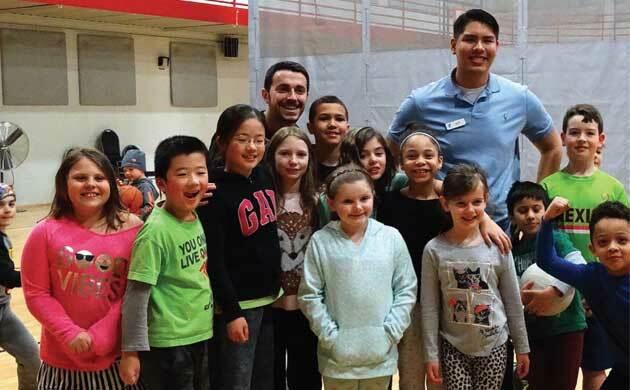 Kit Sathong is the Go 5-2-1-0 Program Coordinator for the Regional YMCA, teaching children about nutrition and the importance of fitness. For Kit, the job is much more than teaching kids. “When I was five years old, my family emigrated from Thailand. Soon after our arrival, my father left us and my mom had to build a foundation for a life in America – teaching herself English,attending night school, and working as a CNA. I easily assimilated to the culture in the US, but had a hard time connecting with peers, and had little influence or instruction in my life. I diligently looked for some kind of change and found it when I started working at the YMCA’s Camp Greenknoll at 16. It was there that I realized that although my foundation had been fractured, my situation was not unique. That’s when I resolved to become a positive influence. Both at camp and in my first year of teaching in the SCRAM program, I’ve built meaningful relationships with the children I work with. The opportunity to teach is fun, but the opportunity to get to know the kids, encourage them and influence them is revolutionary. Give to enable young people achieve their potential.